I eat some serious chocolate. I spend way too much money on chocolate and whenever I discover a new brand I shout from the rooftops about the deliciousness that is derived from the cocoa bean. My love for chocolate is further exemplified by the fact that I received no less than 10 gourmet chocolate bars from various friends for Christmas. Because all blogging advice books tell you to talk about things you have a passion for, I’ve decided to start a little chocolate feature. 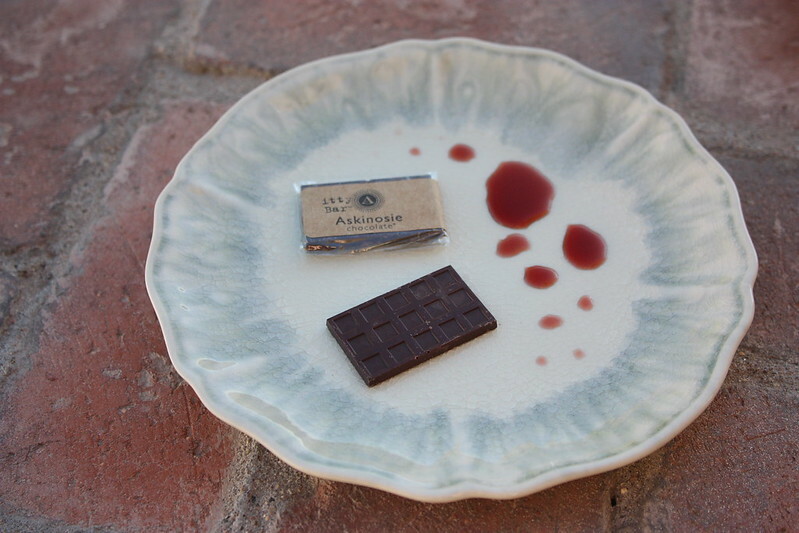 This week I want to talk about Askinosie Chocolate. Specifically, let’s talk about their 70% dark itty bar. This tiny morsel of chocolate is totally affordable at only $.75 and packs a big flavor punch. While many dark chocolates are bitter, this is overflowing with fruity notes that give you a surprisingly bright piece of dark chocolate. 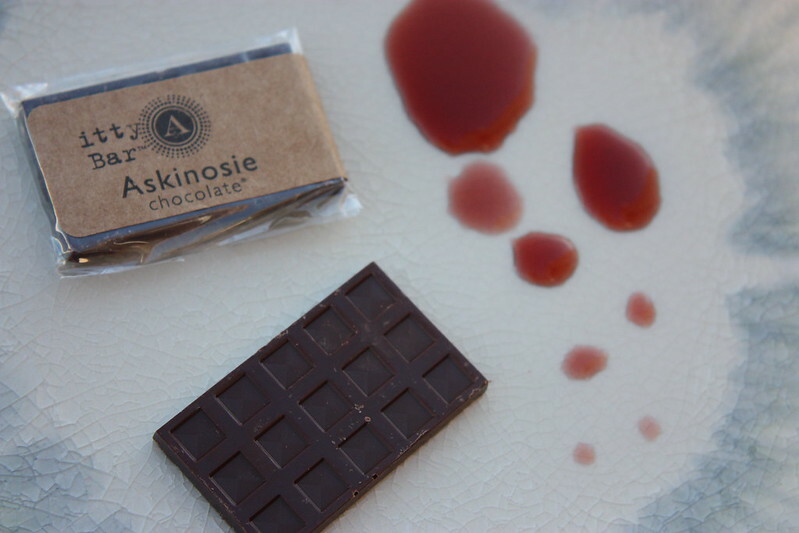 All of the chocolate make by Askinosie comes from beans grown by farmers that have a personal relationship with the geniuses behind Askinosie. These little chocolate bars are full of love and I think you can really taste it. There’s nothing like buying a quality product. You truly enjoy it and your money goes to support good business practices, small businesses, and hopefully a better future. I know, I know…I’m just talking about a $.75 piece of chocolate but I truly believe that supporting great businesses like this makes a huge difference in the world. Back on topic! This chocolate is awesome. Do yourself a favor and give it a try :). I’ll be back soon with another favorite chocolate for you all to taste. Might I also recommend eating it with a glass of red wine? That’s my style but if it doesn’t suit you the chocolate is fabulous all by itself!